I don’t know about you but at around 11am and 3pm I am STARVING. For some reason my blood sugar drops at the exact same times every day no matter how much I try and vary what I eat. The only thing I seem to change is how early but not the fact that I get hungry. I was very lucky to have been gifted these bars. I can get a bit conservative with chocolate and fall easily into a rut and not really buy anything outside of what I love. This gave me the opportunity to move beyond the norm and try some bars with inclusions. I would not have picked the Breakfast bar myself but as you’ll see below it was actually a good find. Plaisir Breakfast – this 43% bar is actually interesting. The orange zest is immediately evident in the smell that greets you as you open the package but the puffed rice is what you see. Popping a piece in my mouth I actually don’t quite get as much of the orange zest as it combines with the chocolate to become slightly more subtle and less aggressive. The puffed rice is small and adds an interesting texture to the chocolate. Of course, this is like orange juice and cereal for breakfast with a hit of chocolate and I have to admit that it it absolutely perfect at 11am for that mid-morning snack. A 43% milk chocolate bar with a little bit more, I only need a half of one square of tackle that blood sugar drop. Perfect. Plaisir Five O’Clock – Milk chocolate with pralinated Faro almonds and old-style nougatine. 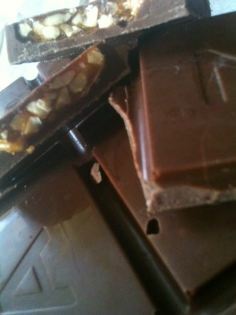 Hazelnuts and caramelised almonds in a 43% cocoa milk chocolate. This is actually a piece of caramel with nuts set into each square of milk chocolate and it is damn addictive. I’d eaten two squares before I realised it. You seriously can’t just eat one but it is then extremely filling. Once you’ve had one or two you actually feel fine during that 3pm drop in blood sugar or on the train home (as I often find myself when craving chocolate). This is delicious though. Of the two bars, I’m absolutely most in love with the Plaisir Five O’Clock. This is just perfect for my train journey home and is small enough for my handbag. 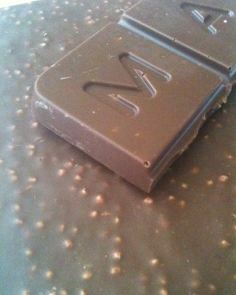 The milk chocolate just hits the spot with the nuts and hard caramel just adding that something extra to the bar that takes it from something mundane to something really special. Buy some for yourself at Selfridges or online at the Pierre Marcolini e-boutique.